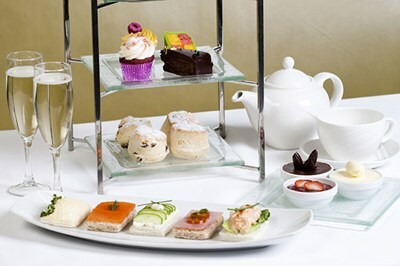 Combine retail therapy with Afternoon Tea at Hilton Dartford Bridge, Kent. 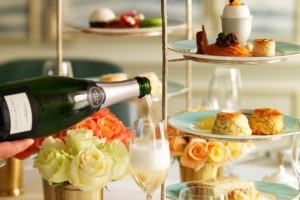 Conveniently close to the Bluewater Centre, escape the crowds and settle down in elegant surrounds with a sumptuous Champagne Afternoon Tea for Two. Your afternoon tea is a served on a tiered cake stand which oozes with mouthwatering treats. 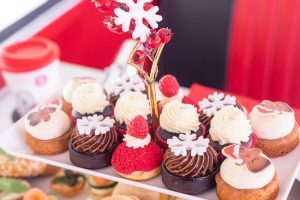 A traditional affair, dine on delicate finger sandwiches with seasonal fillings and savoury profiteroles. Sweet treats include macaroons, fruit tartlets, cupcakes and fruit scones with clotted cream and a selection of homemade jams. Your afternoon tea is served with a selection of flavoursome teas or freshly brewed coffee. 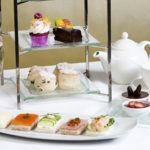 Book Afternoon Tea at Hilton Dartford Bridge, Kent. Perfectly placed for travelling the Hilton Dartford Bridge is located just off the M25 motorway and only four miles from the premier Bluewater Shopping Centre. Travel to Central London in 17 minutes from the Ebbsfleet International rail station just five miles away. 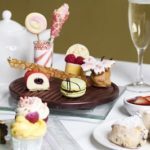 This delicious Champagne Afternoon Tea at the Hilton Dartford Bridge is available from Buy a Gift. Priced at £39 for TWO, this would make the perfect gift to celebrate a special occasion, or simply as a special treat for you and a friend to enjoy. 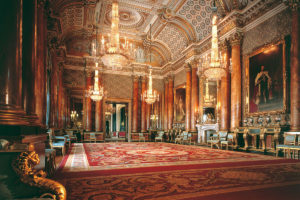 This afternoon tea package is sold as a gift voucher. Valid for 10 months, this allows for plenty of time to co-ordinate the diary.